As the number of available .com domains continues to decline, alternative domain endings are becoming more popular. 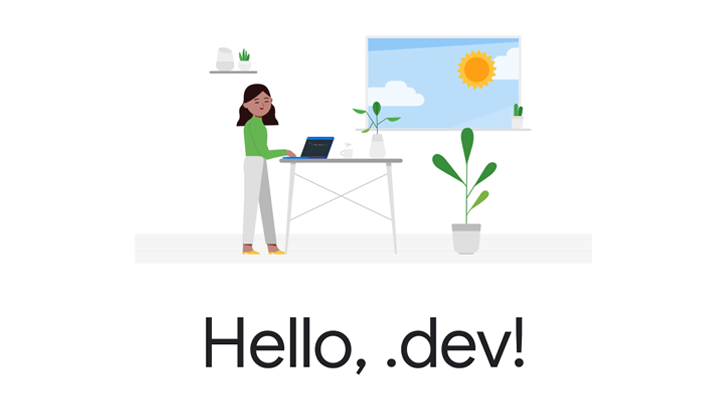 Many developers (including yours truly) prefer to use .io domains for personal sites and projects, as a nod to "I/O" being the abbreviation for "input/output," but now Google is working on a new ending specifically for those people — .dev. Much like the .app ending that Google introduced earlier this year, .dev is included on the HSTS preload list, meaning HTTPS support is required. Google says these domains are perfect for showcasing projects and documentation, and the company will announce early adopters of .dev soon. The 'Sunrise' period for .dev begins on January 16, where companies that own a relevant trademark can register for a domain. From February 19-28, registration opens up to everyone, but domains will cost more. The general availability period, where .dev domains will be priced normally, begins on February 28.